A marine watch is actually a descendant of the marine chronometer. They're precise, functional, and elegant. Some of these watches are also meant for use underwater. Which marine watch is best for you? If you're looking for a marine watch, you have a lot of choices. The Rolex Yacht-Master II is set apart by its regatta timer function. This timepiece costs 14,000 euros in stainless steel, while the gold version costs about 30,000 euros. 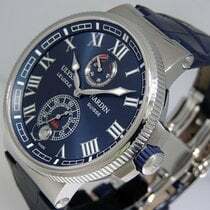 The Ulysse Nardin Marine Regatta also has a mechanical timer function. This watch costs around 12,000 euros. Ulysse Nardin's marine collection doesn't stop there, however. Prices for their marine watches start around 3,000 euros and go up to 40,000 euros. There are countless marine watches with rose gold cases and bracelets available for more than 30,000 euros. There are also a small number of Ulysse Nardin Marine Grand Deck timepieces in white gold. They cost more than 200,000 euros and feature a tourbillon. The Luminor Marina from Panerai is a good choice if waterproofness is important to you. 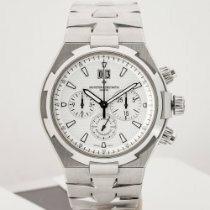 The starting price for a pre-owned watch is around 3,500 euros, while new watches go for 4,500 euros. The Luminor Marina is also considered a diving watch thanks to some of its features. The Oris Divers Sixty-Five is likewise unfazed by water. It's also a 1960s-style diving watch. A new version of this timepiece only costs around 1,300 euros, making it a relatively affordable option. Breguet's marine collection resides in another part of the price spectrum. There are many watches that cost more than 100,000 euros, all of which are made with the finest materials and feature intricate complications. However, it's possible to find offers starting at 7,000 euros. If you want a true representation of a marine watch, then look no further than Breguet. Rolex developed the Yacht-Master II with sailing in mind. It's not a diving watch like the Submariner, which is waterproof to 300 m, but it can withstand depths of up to 100 m (10 bar). Its main selling point, however, is its programmable 10-minute countdown function. A skipper can use it to prepare his or her position at the start of a regatta. The watch's special bezel, the Ring Command bezel, is linked to the mechanical movement and can thus be set and synchronized to the race start sequence. According to Rolex, they invested 35,000 hours of development in the Yacht-Master II movement (caliber 4161). It consists of 360 individual pieces. With a diameter of 44 mm, the Yacht-Master II is one of Rolex's largest watches. Thanks to its special bezel and timer, it's also one of the most technically interesting timepieces. It's available in stainless steel, yellow gold, bicolor (stainless steel and Everose gold), and a combination of white gold and platinum. The Yacht-Master II is a part of the Oyster Perpetual collection. Panerai's Luminor Marina is a diver's watch that's waterproof to 300 m (30 bar). The manufacturer rose to fame for providing the Italian marines with watches. In 1938, after Panerai successfully presented their prototypes in 1936, the government hired the company. 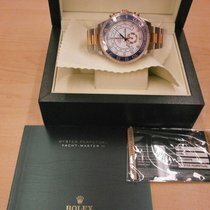 Rolex took over production of the watch, and today the watch is considered a joint venture. The combat divers in the Italian Royal Navy's Gamma Group received the watches. The first models were called Radiomir and had a 47-mm cushion-shaped case. In order to make the watch legible under poor lighting conditions, Panerai used a radioactive substance. It glowed brightly, but posed serious health risks. Therefore, Panerai developed an alternative. 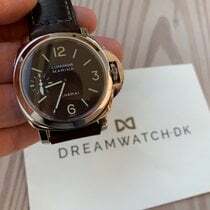 In the next iteration of the watch, Panerai didn't only change the luminous material to a darker, tritium-based substance, but it also changed the name. The newer version is named after the luminous material used on the watch, Luminor, which was patented in 1949. In 1955, Panerai introduced a characteristic crown protector on the Luminor, a characteristic that remains a distinctive feature today. The timepiece's design hasn't changed much over the years. This tactic seems to be a key to success which Rolex also adheres to. Today, the most common version of the Luminor has a black dial with Arabic numerals and indices. Some versions have a white dial. The standard version of the watch has a 44-mm, polished 316L stainless steel case, although the watch is also available in titanium. Another distinguishing Luminor feature is its small seconds at nine o'clock. The Luminor Marina is available with an automatic or manual movement. The automatic movement, OP III, is based on the popular Valjoux 7750 caliber from ETA SA Manufacture Horlogère Suisse (ETA SA Swiss Watch Manufacturer), but does not feature a chronograph function. The watch also lacks a rotatable bezel with a scale, another unusual characteristic of a diving watch. The Breguet Marine is another type of marine watch entirely, representing the more conservative side of the spectrum. Roman numerals function as hour indices and the characteristic Breuget hands emphasize the traditional design. Breguet categorizes the Marine collection as sporty; however, that's by Breguet standards. The Marine timepieces are elegant and really belong in a class of their own rather than being compared to the Panerai Luminor Marina or the Rolex Yacht-Master. 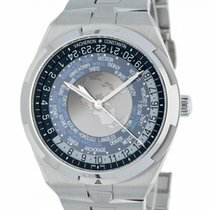 These timepieces are also quite sturdy: You can dive down to 300 m (30 bar) with some versions. White, rose, or yellow gold cases are frequently found in the Marine collection. Platinum is also an option. The luxury extends all the way to the calibers: Some watches in the Marine collection have a tourbillon, a complication considered to be the pinnacle of watchmaking art. Ulysse Nadrin were already producing high-quality marine chronometers in the 19th century. Today, marine chronometers and chronographs still play an important role in their offerings, but wristwatches are now at the forefront. The watches, like the Breguet marine timepieces, have an elegant, conservative design. Ulysse Nardin often uses Roman numerals as indices and gold as a case material. The regatta version features a countdown timer that times 10 minutes to the start of the race. 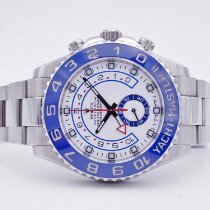 It's a direct competitor of Rolex's Yacht-Master II. The Oris Divers Sixty-Five is a timepiece that can take a lot. It's a retro diving watch waterproof to 100 m (10 bar). Its design has its roots in the mid-1960s when diving was gradually becoming mainstream and most diving watches were aimed at professionals. It has hour markers and wide baton indices filled with a luminous material. Like most diving watches, it has a rotatable bezel with a scale and zero marker. Some manufacturers have separate divisions for producing marine or deck clocks such as the German company Steinhart. They're simple, classic timepieces that have a long history behind their designs. In the first half of the 19th century, these sorts of clocks were used to tell time on ships.